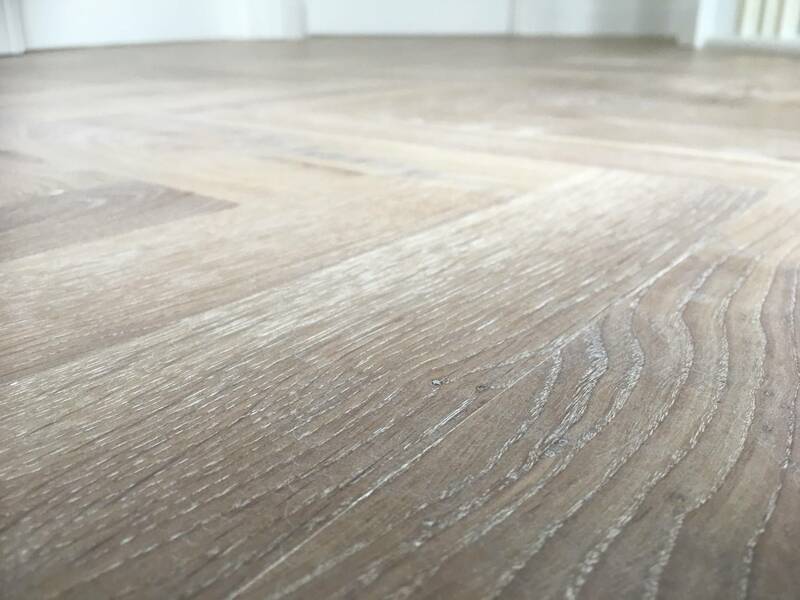 OUR GUARANTEES: 25 years on engineered parquet planks, plus 3 years’ free maintenance – find out more. 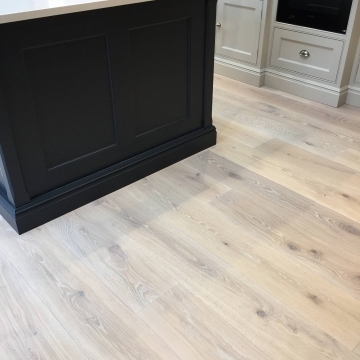 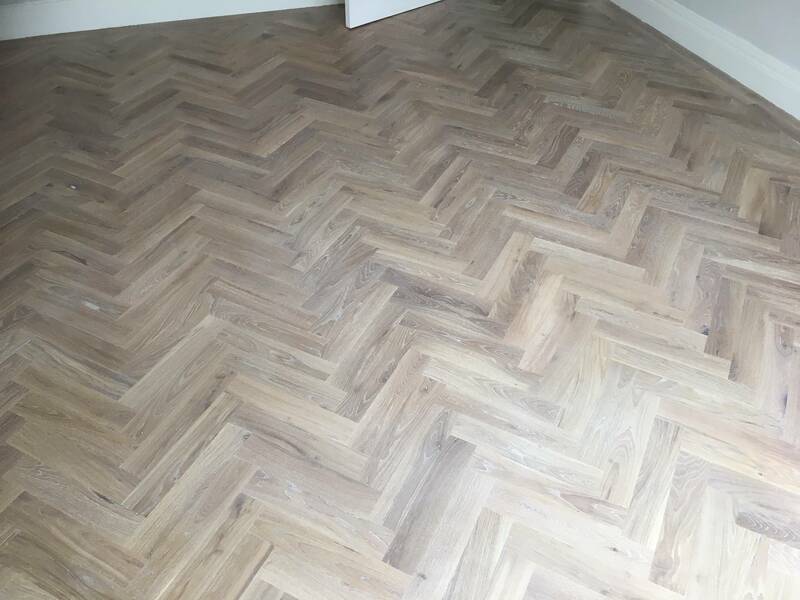 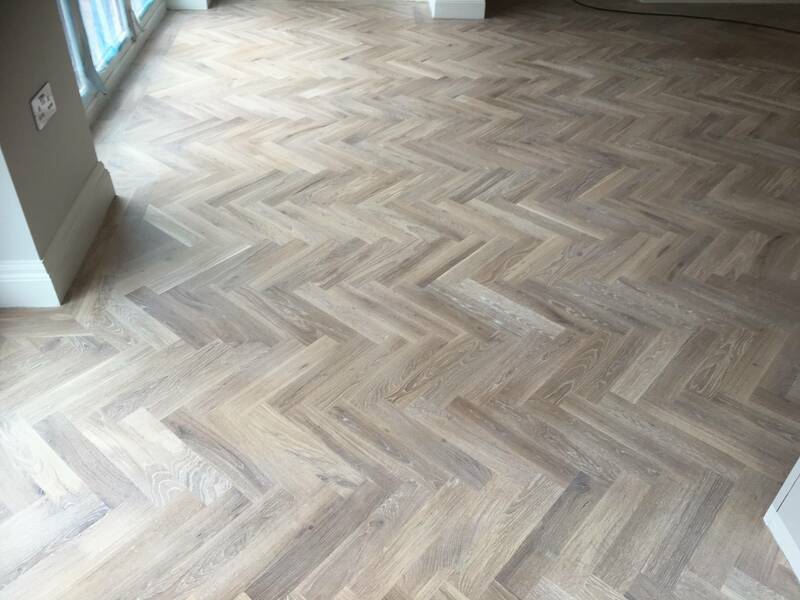 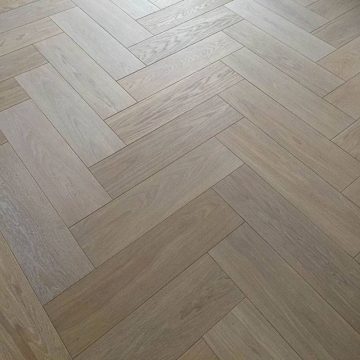 Beautifully installed solid herringbone finished with a very tough Pallmann white all in one oil which is resilient to scratches, stains and marks. 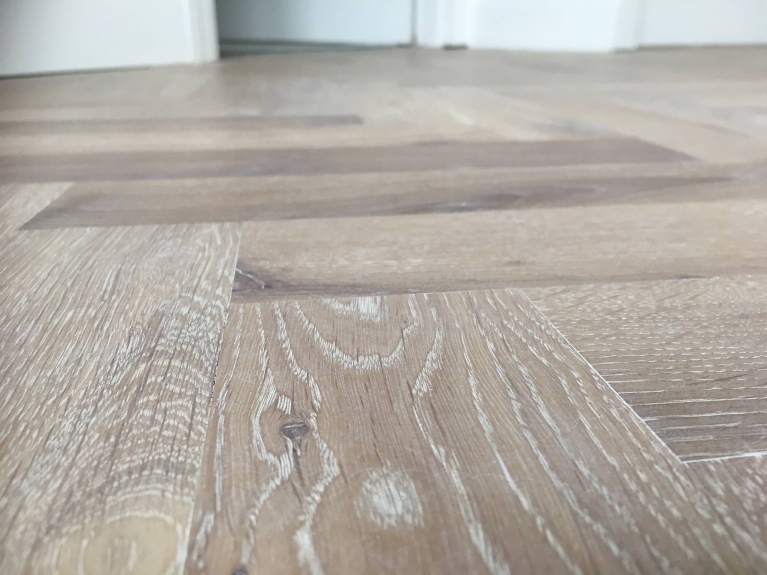 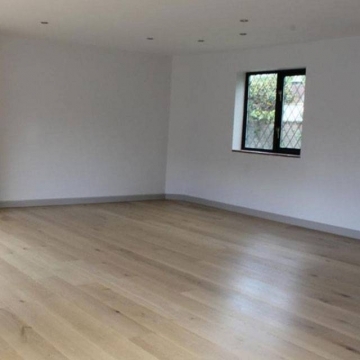 The oil allows the grain to come through which is key with wood flooring of any kind.